There's a great article on the Science website that brings up the issue of taxonomy. 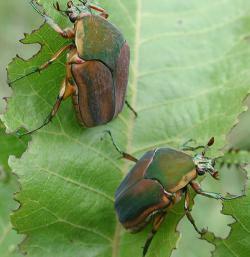 Taxonomy is the science dealing with the description, identification, naming and classification of organisms. Due to declining funding and a lack of professional practitioners, the article proposes that amateur taxonomists could make significant contributions to understanding the Earth's biodiversity. 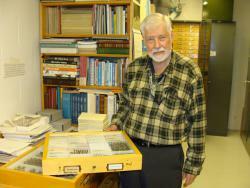 The article highlight's the Science Museum's own "professional-amateur" entomologist Ron Huber. Ron's been volunteering his time at the museum since September 1964 and has written a number of scientific publications based on his research on the museum's collection. With 1.4 million animal species scientifically described and with an untold number still to be discovered and described the role of taxonomy is more critical than ever. But there definitely is debate as to whether amateurs are the solution to the problems facing taxonomy. What do you think? Did you ever wonder what those pesky moths ate before they ate your clothes in your closet? Clothes moths were known previously to feed on dead animals. Recently, scientists also discovered that the casemaking clothes moth, one of the two most common closet menaces, can be helpful in forensic work as well! The casemaking clothes moth, so named because it makes a fuzzy case-like home for itself as a young caterpillar, will eat human hair and can even feed on corpses. The caterpillars can eat enough hair to identify a body with DNA. These moths can be particularly helpful if a body is moved to a new location. The caterpillar will move to a nearby spot, away from the body, to make its cocoon. Then, if the body is moved, DNA evidence from the caterpillar in the cocoon can tie the victim to the original location. 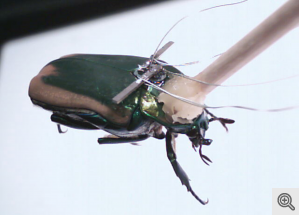 More information on this can be found at Science News. As I watched the praying mantis crawling on my hand, I noticed something brownish coming out of its bottom. At first I thought it was feces, but then it started wriggling around vigorously. Was it a tapeworm, or some unknown species of worm? We brought the worm home in a bag and searched on the internet. It was a hairworm, a parasite that feeds on the insides of insects and brainwashes the insects into jumping into the water, where it completes its lifecycle. That makes sense because the praying mantis jumped off my hand into a wading pool just before I brought it onto land and the hairworm started coming out. We've only found examples of hairworms coming out of grasshoppers and rarely emerging from damselfies/dragonflies. 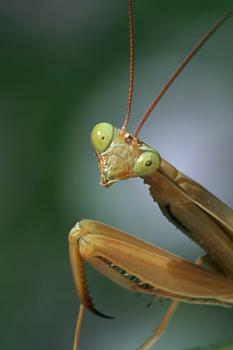 Has a hairworm ever before been observed coming out of a praying mantis? I found it on Oct. 4, 2006 at Kyodo no Mori in Fuchu-shi in Tokyo when my 4th grade class from ASIJ was on a field trip. My name is Elsa and I am nine years old. I want to be either an entemologist or a herpetologist when I grow up.